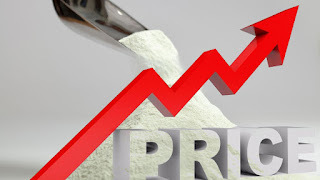 The Consumer Affairs Authority (CAA) has reportedly granted approval to companies for the milk powder price increase based on the price formula. A milk powder shortage had prevailed in the country in the past couple of days due to authorities not approving a price increase in imported milk powder. Due to this, Cabinet approval was recently granted to introduce a new pricing formula for milk powder. Accordingly the CAA has decided to allow the relevant companies to hike prices based on that formula, the minister said.